October's been a busy month- I can't believe its already come and gone. Well, Happy Halloween to you all, and if you've been busy too, here's the monthly round-up to get you up-to-day on Never Fully Dressed (Without a Style)- The Best of October! 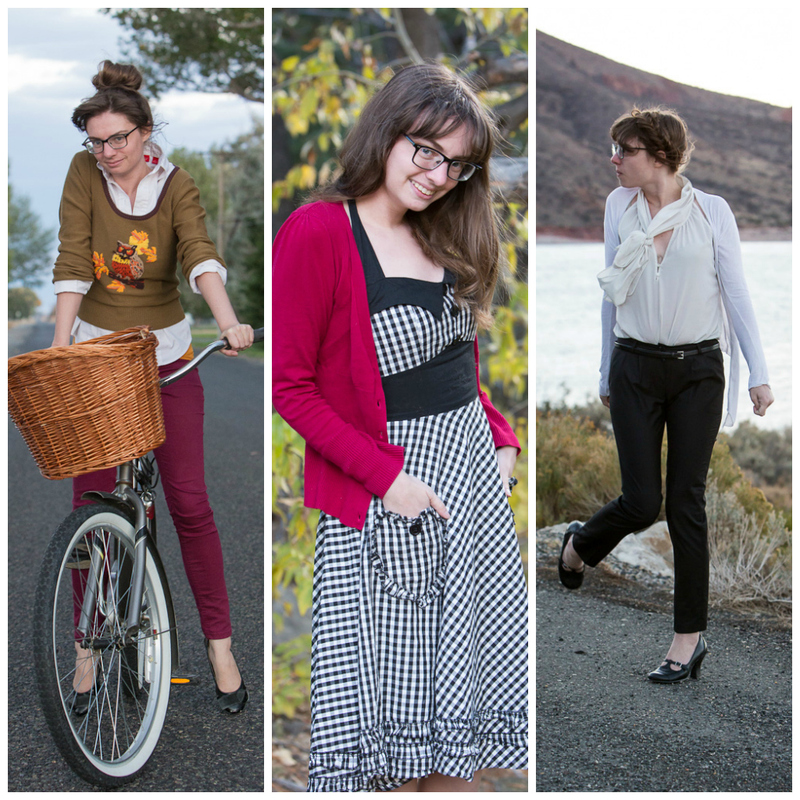 Some favorite stylings with a bike, with a cardigan, and on a windy day. The postman was kept busy this month too- we learned how to make a coded letter and I got my first subscription box from Quarterly Co. I voiced the unpopular opinion that Breakfast at Tiffany's is not the greatest film ever made, but liked another Hepburn film, Charade. For those of you not in the mood for a romantic flick, why not try Treasure of the Sierra Madre instead? Looking for hair inspiration? You can learn how to do a Turban Wrap on NFD, or check out my guest blog for Treasure Tromp to see how to get the Gibson Girl Look. You may have also spotted me else where on the blogosphere this month- Flock Together- a clothes swapping group and collective blog- made its debut. I'm one of nine (soon to be 13!) lovely ladies contributing. Check us all out! 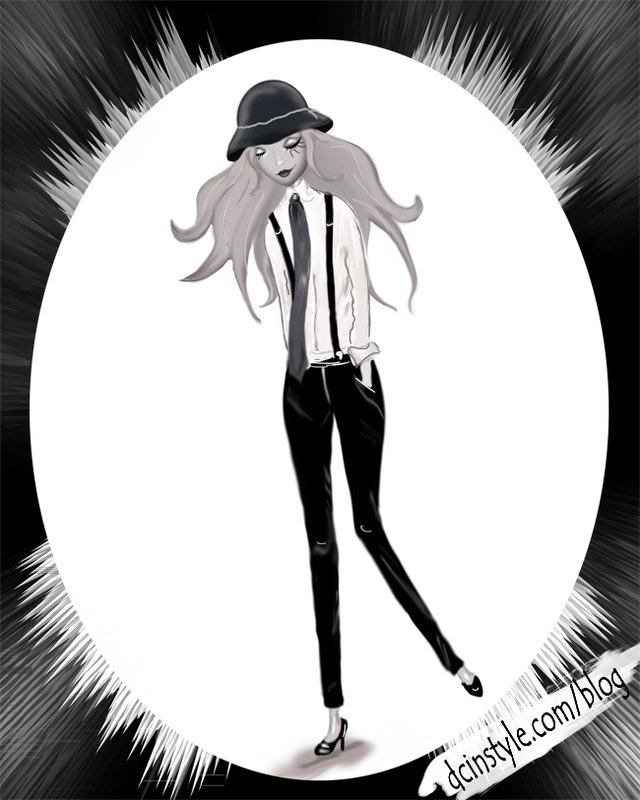 And- Elena of DC in Style made this Fashion Illustration of me! How sweet is that? I love that owl sweater! 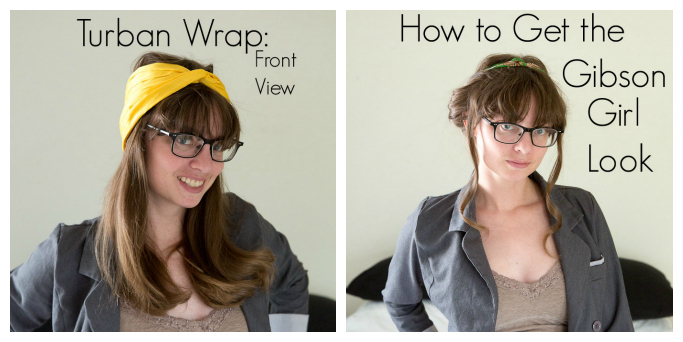 you had a lot going on this month - both of your hair tutorials were so cute! 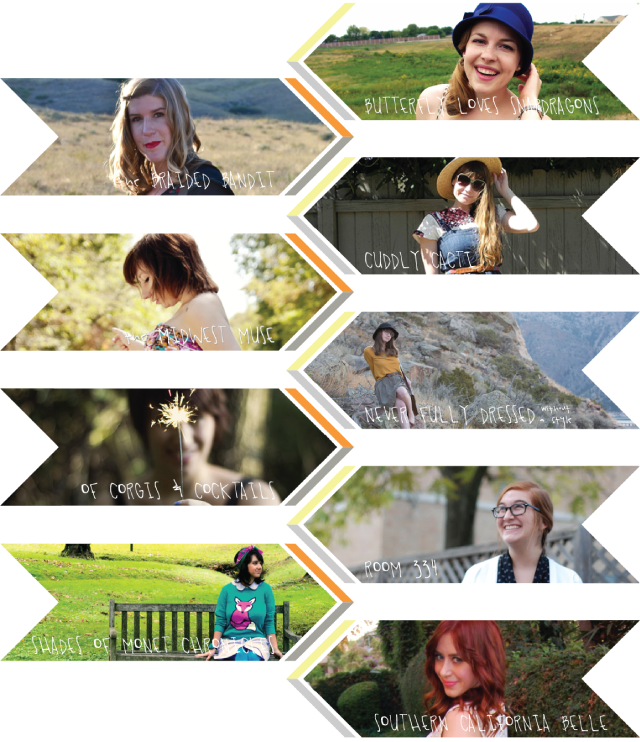 Great October posts-love the hair tutorials! The turban wrap really suits you.